A salad is a great way to meet your daily vegetable requirement — just toss a few of your favorite veggies together with lettuce or other greens. Most grocery stores sell a variety of salad greens (separate or mixed), prewashed and bagged for convenience. Arugula and watercress are peppery, dandelion and escarole are bitter, mâche and iceberg are sweet, and a green called tatsoi has a mustard flavor. Baby spinach is another popular option. The USDA recommends two to three cups of vegetables per day for adults. But because greens aren't very dense, it actually takes about two cups of raw greens to make the nutritional equivalent of a one-cup serving of vegetables. That's also true for sturdier leafy greens such as kale, chard, collards, and bok choy. But cooking reduces their volume by at least half. When tallying up your servings, count one cup of cooked greens as one serving. 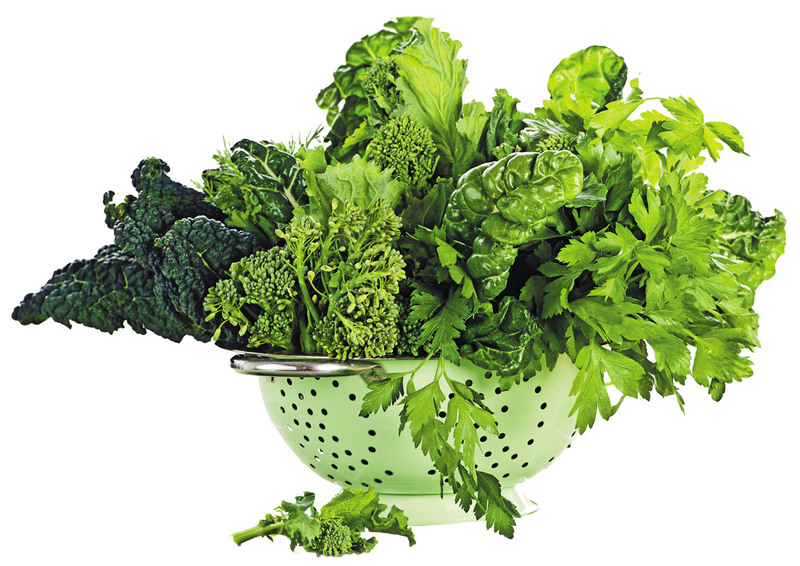 Nutritional info: Leafy greens are rich in a combination of vitamins A, C, and K; several B vitamins; and potassium. They also contain fiber and are low in calories. As a general rule, the darker the green, the more nutrients it contains. Easy recipe: Heat a tablespoon of olive oil in a large pan. Add one clove of minced garlic and a large bunch of coarsely chopped kale, spinach, chard, or other greens. Stir-fry until tender.